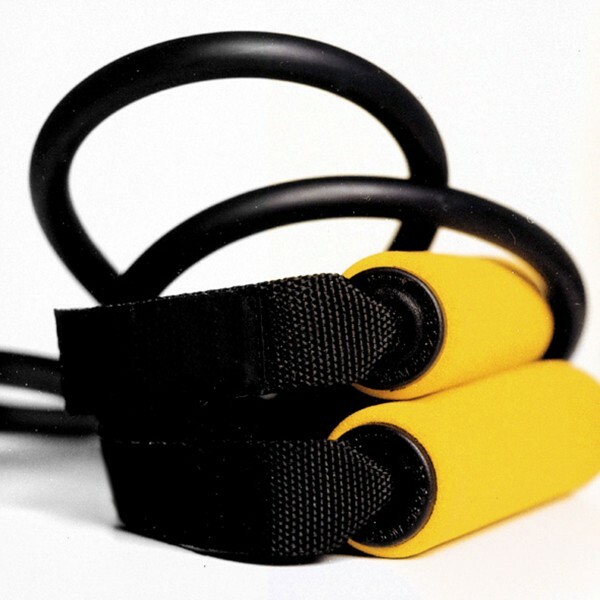 Resistance tubes offer a complete exercise system that is easy to use, inexpensive and produces results. High quality tubes with padded handles for extreme comfort, enabling you to undertake arange of resistance based exercises. Our resistance tubes come in four colors, which indicate differences in tension. so there is a tube for all fitness levels from beginner to advanced. For instance, yellow tubes are light tension whereas blue tubes are heavier tension. Some systems are designed for combining tubes together for increased levels of resistance during exercise. Tubing is sturdy and can be used for hundreds of workouts for many years. Resistance tubes offer a high quality, inexpensive alternative to many fitness products that produce only negligible results at best. All that's needed to tone one's body and burn body fat is determination because exercising with resistance tubes brings about quick results that keep training motivation high. In about thirty-minutes or less full body workouts that incorporate anaerobic, aerobic and flexibility training modes can be completed just as effectively as if working out on exercise machines.